The 7nm node will account for 10% of company revenue for 2018, and will exceed 20% next year when the company starts employing extreme ultraviolet lithography (EUV). This will allow for the production of more powerful chips thanks to EUV's ability to create ultra-fine features. It helps companies like TSMC cram more functionality into each chip. Mass production of such chips will start in 2020 as CEO CC Wei told investors last week. The majority of TSMC's 7nm chip production next year will still be made using TSMC's first-generation 7nm technique. Growth in 7nm production is expected to drive TSMC's revenue growth next year thanks to orders from Apple, Huawei and AMD. 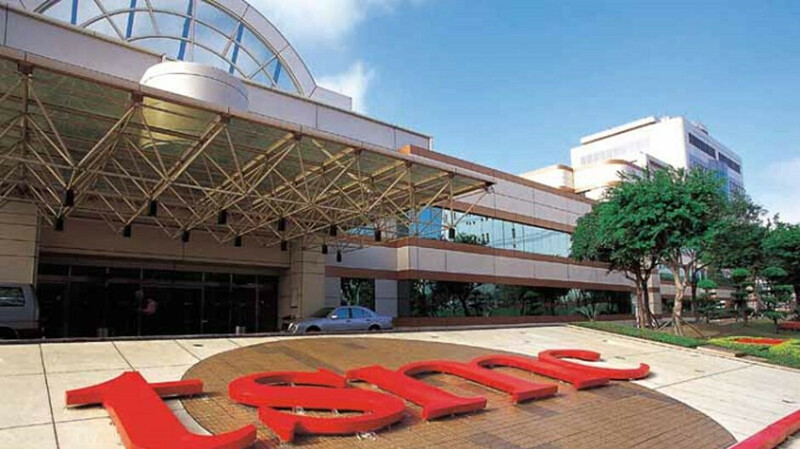 For the current quarter, which runs through the end of the year, TSMC expects to post revenue in a range between $9.35 billion USD and $9.45 billion USD. That would be a gain of 10% to 11% from the previous quarter. For all of this year, TSMC estimates revenue growth of 6.5%, down from its original forecast of top line growth in the 7% to 9% range. Weaker than expected demand for cryptocurrency mining technology is the reason for the lower than expected revenue growth. Already did that weeks ago when the first story broke. They ignored it. Guess it's not news worthy. I can't help but wonder if this was about another OEM though. Bad news for Samsung for 2019 then. Isn't TSMC supposed to go 5nm EUV by 2020? Not really, Samsung's EUV is better than TSMC's 7FF in PPA, and fidelity (CPP+MMP). TSMC will switch to EUV for their 7FF+. I'm sure those companies choose TSMC just because it's cheaper. Samsung's 7nm EUV will likely prove much more energy efficient compared to TSMC's 7nm FF, as well as cheaper to produce. For TSMC sticking with FinFet over EUV increases the likelihood of current leakage resulting in a higher battery drain compared to EUV. There was a small rumor that Qualcomm might still split the production of the SD8150 between TSMC and Samsung due to yield issues that TSMC is having. If that does happen, it would really make the perfect opportunity to see which process is best, for energy consumption, performance gains and the like. Hhhmmm. I thought China was still not good with Taiwan? LoL Samsung. Better luck in 2020. Tsmc is eating all the all flagship SoC from Samsung. This talk happens every year, and Samsung remains a major player, cause they’re good, and their ability to produce mass volumes fast. We’ll see how it goes though. The pixel 3 crying for more ram lol. https://youtu.be/vvzt34S36UI Mate 20 Pro Face ID seems doesn’t work as it should! https://youtu.be/0kB05E6I05E Gaming performance mate 20 Pro excllent performance for the first time from Huawei phones, but don’t know how the performance for more than 30 minutes of gaming! Now where is that boy who tried to argue with me and say Samsung didn't have the better 7NM? Where you at Apple Rulz. As you can see Samsung took longer because they made the better process which is ready now, while TSMC won't be ready with the same later. Where you now? Speak up? Dont you know the Rulz? Apple fans can never admit when they are wrong.